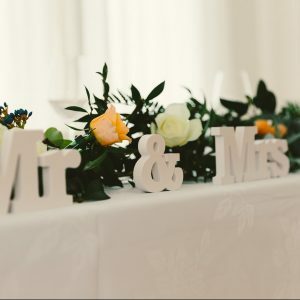 Many bridal couples are looking for an inclusive wedding flower package pricing for their wedding flowers to make it easier to plan and budget for their big day. 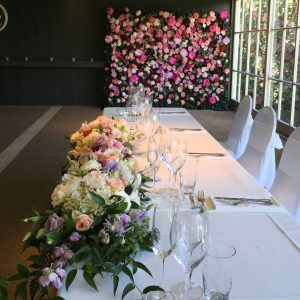 Choosing a wedding flower package takes away the stress of planning your wedding flowers as each package is fully customised to suit your specific wedding colour palette and budget. Let me take care of your complete wedding floral décor on your big day. 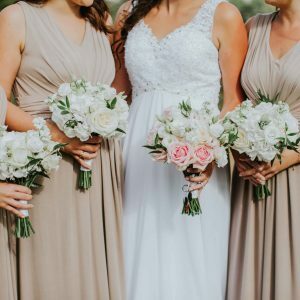 Intimate Bridal Party Package: This package is perfect for brides looking for the essential wedding party florals on a budget. Great for an intimate wedding, with a small bridal party. Deluxe Bridal Party Package: This package is fantastic for brides with a larger wedding party and includes florals for the parents of the Bride and the Groom and a flower girl. Essence Ceremony Package: This simple but elegant ceremony package is best suited for a church or chapel ceremony. 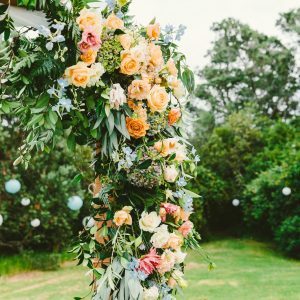 Romantic Ceremony Package: This package is great for brides wanting abundant garden-style florals for an outdoor ceremony. Rustic Reception Package: The perfect choice for decorating a rustic reception space, whether it’s a barn, vineyard or stretch tent. Lavish Reception Package: Gorgeous lush florals just perfect for a stylish wedding reception venue, whether it’s a yacht club, hotel or resort. Unfortunately, the items in the package are not interchangeable. 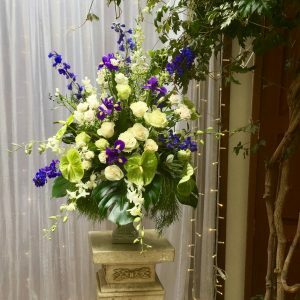 Set up costs for ceremony and reception florals will be quoted separately based on your venue location. Quantities within each package cannot be reduced but may be increased. Packages are subject to seasonal and market availability of the flowers. I also offer a bespoke wedding service tailored to suit your wedding ideas and style, venue requirements and your flower budget. 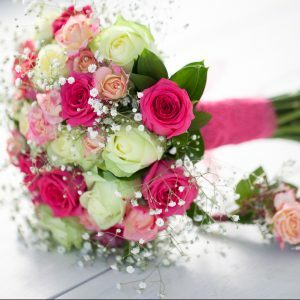 This can include any combination of bouquets, boutonnières, corsages, florals for the ceremony and reception. If you would like a customised wedding flower quote, please contact me or fill in a wedding flower quote form. For a more accurate idea of the type of flower budget you might need to suit your wedding plans, I recommend booking a wedding consultation.